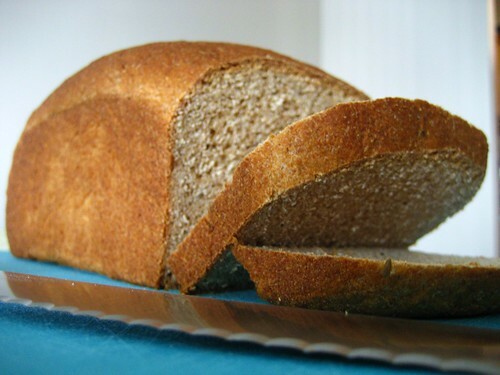 Bread made with wheat flour is one common source of gluten. Is the gluten-free diet a food fad that will eventually flame out, or is it a path to better health? The answer depends on whether you need to avoid gluten…and the fact is that most people don’t need to. What is gluten and where is it found? Who should avoid it? Gluten is a type of protein found in wheat and other members the Triticeae tribe of grasses: Rye, barley, triticale, kamut and spelt. Most people can eat these cereal grains without ill effects. However, an estimated 8 in 100 people can’t, due to a wheat allergy, celiac disease or non-celiac gluten sensitivity. How common are wheat allergies? Fewer than 1 in 100 children have a wheat allergy (1), and about half will outgrow it before adulthood. If you have a wheat allergy, your body’s immune system reacts inappropriately to one (or more) of the many proteins found in wheat. This may or may not include gluten. Symptoms appear within minutes or hours and can include skin rashes, intestinal discomfort, wheezing and anaphylaxis. Generally, people with wheat allergies don’t have problems eating rye and barley. What is celiac disease? How common is it? As many as 1 in 100 people have celiac disease (1), a genetically inherited autoimmune condition that causes the immune system to attack the lining of the small intestine after gluten is ingested. Celiac disease isn’t a food allergy in the traditional sense, because it involves different antibodies than involved in most food allergies, including wheat allergy. Celiac disease is sometimes called gluten intolerance, but this term is imprecise and falling out of favor. With celiac disease, the reaction to gluten can be pinpointed to specific parts of the complex gluten protein: alpha-gliadins (wheat), hordeins (barley) and secalins (rye). When gluten reaches the small intestine, these so-called “celiac molecules” are freed and modified by the tissue transglutaminase (tTG) enzyme. It’s during this process that the immune system goes on the defensive in people with celiac disease, and the cells that line the small intestine get caught in the crossfire. What happens when individuals with celiac disease eat gluten? Villi are fingerlike projections from the small intestine that increase your body’s ability to absorb nutrients. If a person with Celiac disease eats gluten, the villi get flattened and nutrients aren’t absorbed as easily. The immune system’s defensive attack causes inflammation and damage to the small intestine. Over time, the small finger-like projections (villi) of the intestinal lining become flattened, or atrophied. This is significant, because the villi greatly increase the surface area of the intestinal wall, allowing for adequate absorption of nutrients from the food we eat. When the villi become atrophied, the body has trouble absorbing certain nutrients, including iron, calcium, vitamin D and folate. Down the road, this can lead to health problems like anemia and osteoporosis. Potential symptoms of celiac disease include diarrhea, vomiting and poor appetite, as well as weight changes, chronic fatigue and neurological problems. Infants and young children may be short for their age or fail to gain weight. However, many people (adults in particular) with celiac disease have no obvious symptoms, which means the intestinal damage and poor nutrient absorption can continue unchecked unless they are tested for the disease. Can I inherit celiac disease? Celiac disease is associated with two human leukocyte antigen (HLA) genes, HLA-DQ2 and HLA-DQ8. About 95 percent of people with celiac disease test positive for the HLA-DQ2 gene. The remaining 5 percent usually have the HLA-DQ8 gene, and there are a number of other genes that collectively contribute in small ways to celiac disease risk (2). However, only a fraction of people who are carriers of the HLA-DQ2 gene, will go on to develop celiac disease, suggesting that being genetically predisposed is necessary but not sufficient. How is gluten sensitivity different from celiac disease? An estimated 6 in 100 people suffer from non-celiac gluten sensitivity (NCGS) (3), which has similar symptoms but does not cause damage to the intestines. What is the treatment for celiac disease and gluten sensitivity? The only known treatment for celiac disease is total, lifelong avoidance of gluten. This means avoiding not just the gluten-containing grains themselves, but foods that contain the isolated gluten. There is no known safe level of gluten consumption for people with celiac disease, and even tiny amounts have the potential to cause intestinal damage and long-term health problems. Oats cause problems for some people with celiac, but it’s unclear whether this is due to cross-contamination or to an actual protein component of the oat. People with gluten sensitivity can often be less strict about avoiding gluten, letting their symptoms be their guide. How are celiac disease and gluten sensitivity diagnosed? Because celiac disease is a lifelong condition that requires total avoidance of gluten, while gluten sensitivity is less severe, it’s important to get an accurate diagnosis. Testing for celiac disease starts with blood tests for specific antibodies. If the test results are positive, the final step to confirm diagnosis is to take biopsies from four to six areas of the small intestine to look for flattening of the villi. For accurate diagnosis it is important to undergo testing before giving up gluten. The symptoms, intestinal damage and antibody levels associated with celiac disease resolve quickly when gluten is removed from the diet. There is no standard method of diagnosing gluten sensitivity. The first step is to rule out wheat allergy and celiac disease, as well as other conditions that can cause intestinal inflammation and distress, including irritable bowel syndrome (IBS). Then, if symptoms improve on a gluten-free diet and return after adding gluten back to the diet, gluten sensitivity is the likely culprit. Can a gluten-free diet improve my health or help me lose weight? There are many healthful, naturally gluten-free foods that have benefits for everyone. For example: fruits and vegetables, beans, fish, nuts, eggs, yogurt, poultry, lean meat and gluten-free grains like quinoa and brown rice. However, gluten-free cookies, cakes, crackers and other processed foods may be just as processed and filled with artificial ingredients as their gluten-containing counterparts. Even worse, most gluten-free flours and grain products are not vitamin-enriched. The bottom line for all eaters is this: Consider what you are eating as well as what you aren’t eating. Carrie Dennett, MPH, RDN, is a Seattle registered dietitian nutritionist and a graduate of the Nutritional Sciences Program and the Graduate Coordinated Program in Dietetics at the University of Washington. She writes a nutrition column, “On Nutrition,” for the Sunday Seattle Times. She also blogs at Nutrition By Carrie.